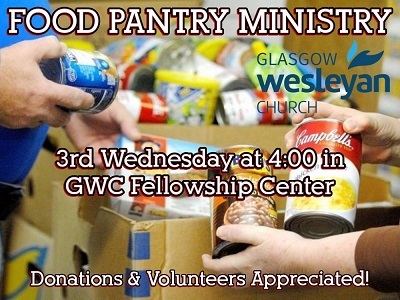 On the 3rd Wednesday of each month, GWC offers a Food Pantry ministry from 4:00 to 5:00pm. This ministry has proven to be a real blessing to needy families within our community. Volunteers are welcome. Donations are accepted.